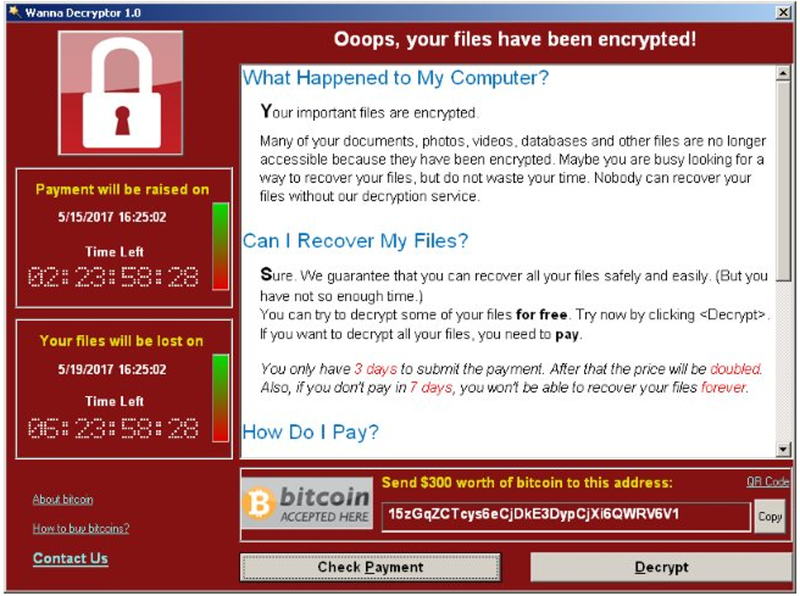 As you likely heard, the largest ever ransomware attack occurred last Friday with a reported 45,000 attacks occurring distributed over 100 countries. These interrupted some essential services in Russia, India, Brazil, the UK, US and China. Canada was lucky so far, however our local neighbour was impacted adversely, Lakeridge Health. The malware is delivered in a phishing email, and the payload hidden in the attachment. This ransomware variant copies itself quickly across shared drives. If you receive an email with an attachment from an unknown/untrusted source, DO NOT save, open or download the attachment. Delete the email from your inbox. Use SHIFT + Delete to permanently delete the email, and empty your email trash bin regularly. If the attachment is clicked and it is asking to enabling Macro’s, say no and close the attachment and delete the email. If there is a password within the body of the email that is to be used to open or decrypt the attachment, delete the email from your inbox. DO NOT forward the email to anyone else. Never click links in spam emails or suspicious emails. Check the embedded link information to make sure it looks like it is going where it says it will go. Helpful tip: Today is a good day to back up your important data using an external drive or cloud based applications such as Google Drive. Just in case.